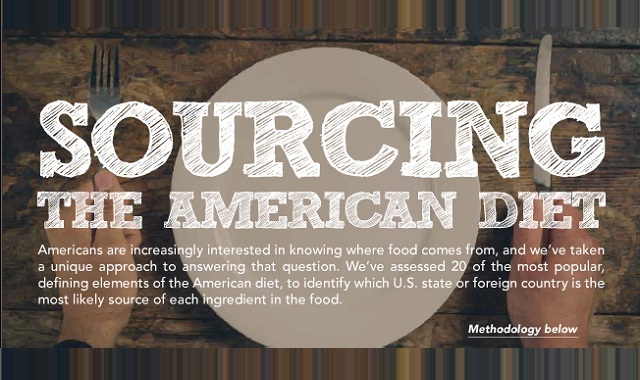 Sourcing the American Diet #infographic ~ Visualistan '+g+"
Americans have an increasing interest in where their food comes from. After researching the top 20 most popular food options in the United States, Pots Planters & More has created an infographic that identifies the top food sources for some of our most favorite meals. They looked at which U.S. state or foreign country is the most likely source of each ingredient in the food.